Raising My Furry Children, by Tracy Ahrens celebrates the bond between humans and animals with anecdotes of daily living with pets. You'll smile, laugh and worry along with Tracy as she tells stories that feel very familiar to those of us who love cats and dogs. 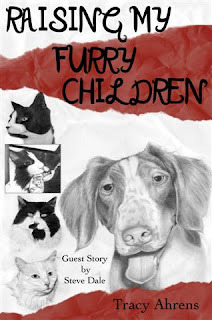 Raising My Furry Children is a collection of columns that the author has written while raising her furry kids: Speckles, a Brittany spaniel, and her cats, Desdemona, CD, Joan of Arc, and Captain Jack Sparrow. Her book begins with a true story of two cats left in a cardboard box outside of a local animal shelter. A note was taped to the top of the box briefly telling why the owner could not care for the cats anymore and some information on the cat's personalities. What follows are Tracy's reflections on the lives and personalities of her own pets and her realization that every pet has a unique biography waiting to be shared. 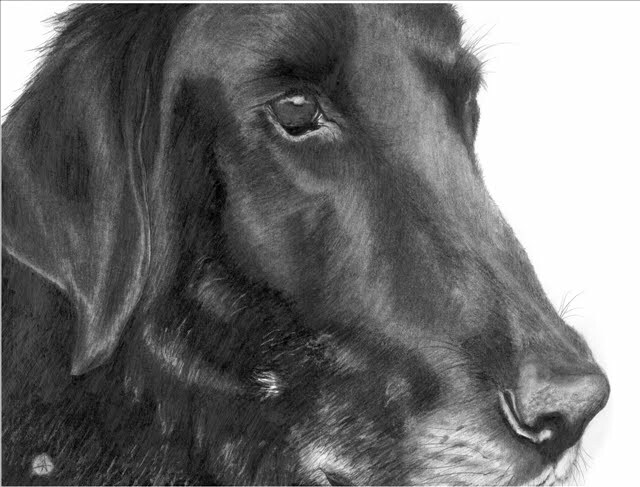 Her stories are narratives of how she learned patience and respect for her pets. Told with love and humor, Raising My Furry Children is a fun, personal look at life with pets. Tracy has a sense of humor that doesn't fail when sharing the antics of her critters. Though the book is fairly evenly divided between her Brittany, Speckles, and the cats, Speckles personality quirks amused me the most. "One evening I came home after dark, and Speckles did not meet me at the backdoor. Instead, I heard voices from my living room. Initially, I was scared a bit since I live alone. I called for Speckles immediately, and he trotted to the backdoor nonchalantly. I think I picked up something heavy with which to hit a possible intruder, but realized that if someone had broken into my house, Speckles would not have been so calm. When I walked into the living room, the television was on. I didn't leave it one when I left home. I looked around the room and noticed a blanket I had covered the sofa with was rumpled up. In the middle of it was the television remote control. I then laughed at Speckles, who apparently made himself a comfy bed on the sofa, rolled on the remote control and turned the television on. What was he watching? Of all things - Animal Planet." Thank You, Chaser, the first story in Raising My Furry Children was contributed by Steve Dale. Dale authors a twice/week syndicated newspaper column [Tribune Media Services] and is host of two national syndicated shows on Pet Word Radio. Thank You, Chaser tells the story of how Chaser, literally, changed the course of Dale's life. Scroll to the bottom of this post to enjoy an interview Steve Dale conducted with Tracy. 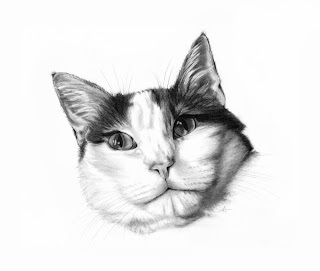 A portion of the book is devoted to delightful pet portraits by the author. Tracy is an accomplished artist, creating beautiful graphite pet illustrations, many of which you'll find here. Tracy's columns continue to appear through Chicago based Talis Pet Media Group. She currently has one mixed breed adopted dog and three rescue cats. Book sale proceeds are being donated to two major organizations: American Brittany Rescue and the American Humane Association. 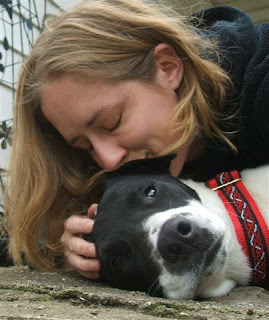 The contribution to American Brittany Rescue is honor of Tracy's dog, Speckles, who passed away in 2007 and is featured in Raising My Furry Children. She has also fostered two Brittanies through ABR since Speckles passed away. The American Humane Association is a national voice for the protection of children and animals through groundbreaking research, education, training and services that span a wide network of organizations, agencies and businesses. Raising My Furry Children was awarded second place in the category of Humor/Non-fiction book in the Illinois Woman's Press Association 71st Mate E. Palmer communications Contest. Raising My Furry Children can be purchased at Amazon, Barnes and Noble or from any major bookstore. Tracy Ahrens of Momence, Il. has been a journalist and editor for newspapers, magazines and Web sites for over 20 years. Currently she is a freelance writer for the Chicago Tribune and the American Red Cross Greater Chicago Chapter. Her monthly humorous column on raising her pets can be seen at Tails Pet Media Group. She has also written two children's books, Cloud Jumpers and What if the Moon. Tracy has won 51 writing awards statewide, locally and nationally. She is a member of the Illinois Woman’s Press Association, the National Federation of Press Women and BlogPaws community (online community for pet bloggers). For years she has been a volunteer for animal rescue groups including the Kankakee County Animal Foundation, which she helped found in 1994. We love Tracy and her book! We reviewed it on both blogs last year. Great job!